EnglishClub learners are challenged every day. Here is a challenge for the English teachers! The EnglishClub team is always challenging learners! We call on learners to take quizzes, play games and accept writing challenges. We ask them to try new technology, answer daily Facebook questions, and take Survival English dares. Sometimes we even ask learners to fill out surveys so that we can improve this site. We know that you are challenging your students too! Every quiz, homework assignment, project, film and class activity you introduce brings your students one step closer to their goals. In 2010 we would like to invite EnglishClub teachers to accept a challenge too! At EnglishClub we have many different places to find discussion questions, including Talking Point Worksheets, The Learning English Video Project, MyEC Groups and Blogs, The Monthly News Digest, Discussion Boards, etc… What we don’t have is a database of theme-based discussion questions that are easy to print or download by topic. The most important question you can think of. 1. Review the list above and choose some topics that interest you. 3. Post your questions in the comment section of this page. Make sure to include the reference letter of the topics from the list above. When we have 2010 solid questions we will compile them in an easy-to-print list format on EnglishClub.com. 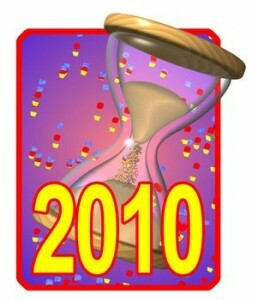 We will feature 10 of the best answers to topic U for a total of 2010. The goal is to complete the database for your use by 2011! Regular reminders will be sent out to teachers to help us build this resource throughout the year. Why not get a head start on your homework? Add your own 21 questions today! You can even ask your students to help you. Tara Benwell is a Canadian freelance writer and editor who specializes in materials and articles for the ELT industry. WORD UP Quiz Game: Special Classroom Pack for teachers. 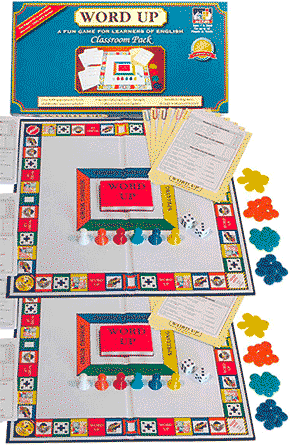 An easy-to-play, fun and exciting quiz game for learners of English. Each set contains thousands of questions graded into 5 levels. With answers. All ages. 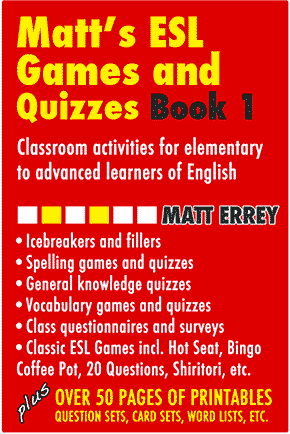 Matt's ESL Games and Quizzes: Games and activities for learners of English, all thoroughly tested in a range of teaching environments from language schools to adult education centres.